My kids are begging me for a gingerbread house kit again this year, but every year they start and don't finish it. And then they don't clean up. So I'm looking into other options. Fortunately the Bay Area has many. The Mandarin Oriental is hosting "ho-ho-ho homes for the holiday" on Saturday, December 14, which includes gingerbread house making from 2-4. Kids get their own aprons and chef hats, decorating gingerbread houses and sugar cookies. For drinking, there's hot chocolate and spiced cider (parents can hit the bar on their own dime). Cost is $60/kid. RSVP at mosfo-events@mohg.com or call (415) 986-2020. Not for your own making, but check out the Westin St. Francis' sugar castle, one of the country's largest. It's in the lobby through January 3. It resembles a French medieval city and weighs more than 1,300 pounds. It has more than 20 grand circular towers, around 30 rooms, glowing windows and a running train. Not that the kids will care, but you might like that they added the century's past top news makers throughout the castle. San Francisco Marriott Marquis has its first annual Gingerbread House decorating contest running now through January 2, 2014. Each of the hotel's 22 departments created one, and you can vote for your favorite. See them in person or on Facebook (they were not there as of when I posted this). 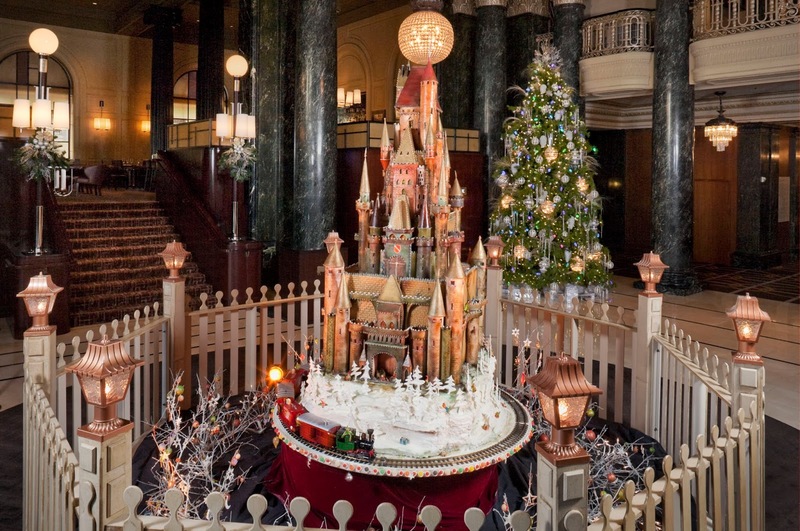 Check out Fairmont San Francisco's life size gingerbread house. You can walk through it! The competition ends tomorrow at the Ritz-Carlton Half Moon Bay. Winners will be announced Sunday, December 8 at their annual tree lighting. Some houses will be up for silent auction, with proceeds going to Coastside Children's programs. 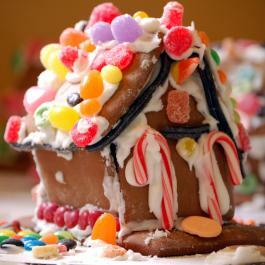 Make your own gingerbread house on Saturday, December 14 at Habitot. It goes from 9;30-10:30, and everything is provided. Cost is $35 per house ($25 for members), which includes admission for one child and one adult. Preregistration is recommended, emailing habitotreservations@lmi.net or calling (510) 647-1111 x 14. Details at habitot.org. On December 21, it's free admission day to Habitot, and you can help decorate a giant gingerbread house which will be donated to a homeless shelter. Bay Area Kids Museum hosts a Gingerbread Architecture Extravaganza on Saturday, December 21 and Monday, December 23rd. There are 5 seatings per day (9:30, 10:30, 11:30, 2 and 3). Cost is $30 for members, $40 per kit nonmembers (includes admission for one adult, one kid). Register here. They sell out. Enter your gingerbread house in the Westin Verasa Napa's Gingerbread House Contest, on Sunday, December 15 from 12:30-3:30. They'll have separate amateur and professional contests. All proceeds go to the Boys and Girls Clubs of Napa Valley. You can win a monthly dinner for two at their French restaurant BANK Cafe and Bar plus a 2 night stay at the hotel. A Little Yumminess has Jamie Oliver's recipe, with American conversions and gorgeous photos. It's not a house, just the bread. 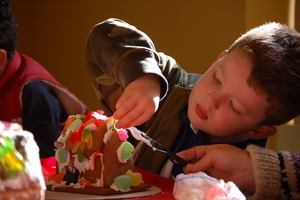 Here are some more gingerbread house activities from Red Tricycle.